Akoustis Technologies has completed the qualification of its first generation XBAW wafer technology and the underlying single crystal materials process at its Canandaigua, NY fabrication facility. 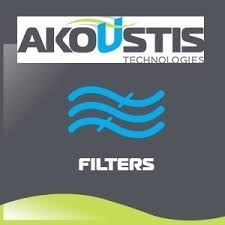 Akoustis Technologies expect to achieve full product qualification of its first three announced products, the AKF-1252, the AKF-1938 and the AKF-1652 later this calendar year now that their patented technology has been fully qualified in New York wafer manufacturing facility. In March 2018, Akoustis announced the completion of the alpha-phase for its XB1 process and today it has completed the beta-phase qualification for both XB1 and the single crystal materials process. This shortens the development cycle time for new catalog and custom components as each new product will start in the pre-production phase and will not require end-to-end qualification. Since March, Akoustis has manufactured multiple XB1 wafer lots and, utilized the data from these lots to establish all necessary controls and supporting documentation within its ISO9001:2015 certified quality management system to ensure the robustness and repeatability of the process as the pre-production phase of development begins for multiple products.